On the eve of his inauguration as President, Woodrow Wilson commented, "It would be the irony of fate if my administration had to deal chiefly with foreign affairs." As America was drawn into the Great War in Europe, Wilson used his scholarship, his principles, and the political savvy of his advisers to overcome his ignorance of world affairs and lead the country out of isolationism. The product of his efforts—his vision of the United States as a nation uniquely suited for moral leadership by virtue of its democratic tradition—is a view of foreign policy that is still in place today. 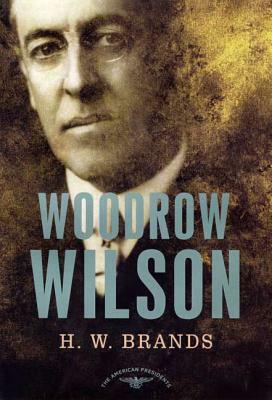 Acclaimed historian and Pulitzer Prize finalist H. W. Brands offers a clear, well-informed, and timely account of Wilson's unusual route to the White House, his campaign against corporate interests, his struggles with rivals at home and allies abroad, and his decline in popularity and health following the rejection by Congress of his League of Nations. Wilson emerges as a fascinating man of great oratorical power, depth of thought, and purity of intention. H. W. Brands is a distinguished professor of history and holder of the Melbern G. Glassock Chair at Texas A&M University. His books include the Pulitzer Prize finalist The First American: The Life and Times of Benjamin Franklin, The Age of Gold, and TR, a biography of Theodore Roosevelt. He lives in Austin, Texas.